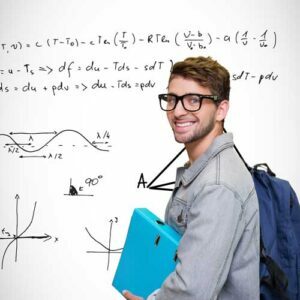 Taking the Armed Services Vocational Aptitude Battery (ASVAB)? We can help! Joining the Armed Forces? 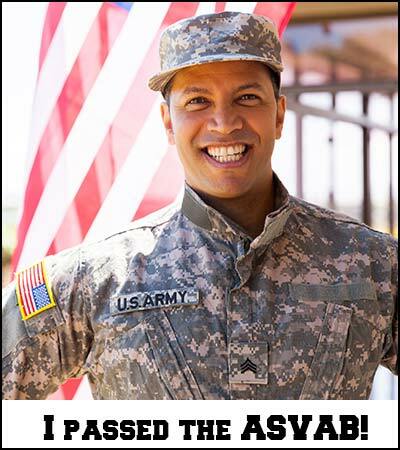 You will need to pass the ASVAB exam to enlist. The Armed Services Vocational Aptitude Battery (AVSAB) exam is required in the first stage of military entrance processing. 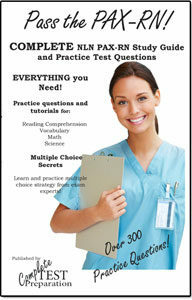 Your score on the AVSAB is part of your Armed Forces Qualifying Test (AFQT) score. Your score on the ASVAB helps determine what Armed Services specialty you qualify for, such as Army, Navy, or other. What is on the ASVAB? 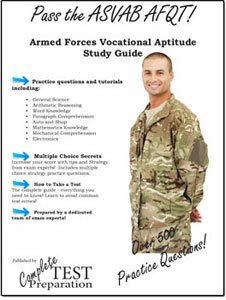 ASVAB Study Guide, Practice Questions, Tutorials, Test Tips, and Multiple Choice Strategies! 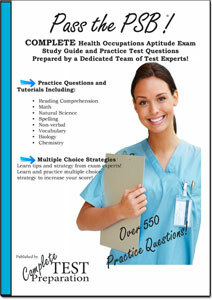 Armed Services Vocational Aptitude Battery Exam Study Guide and Practice Tests. 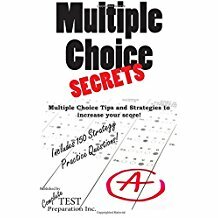 Complete Study Guide including hundreds of pages of Tutorials, Self-Assessments, 2 sets of practice test questions for Paragraph Comprehension, Work Knowledge, Arithmetic Reasoning, and Mathematics Knowledge. The producers and administrators of the ASVAB exam are not involved in the production of, and do not endorse, this product.